Mevani accused the trustees, some of them Padma awardees, of "not standing up against the hooliganism" of BJP and its student wing, the ABVP. "This is a shameful day for freedom of speech and democracy," he added. "Since Narendra Modi became the prime minister, many people have become spineless," he said. This college trustees fall in that category, unfortunately, he added. "It is clear that freedom of thought and expression given in our Constitution are being stifled in the current political scenario, and this is being patronised politically," Shah said. 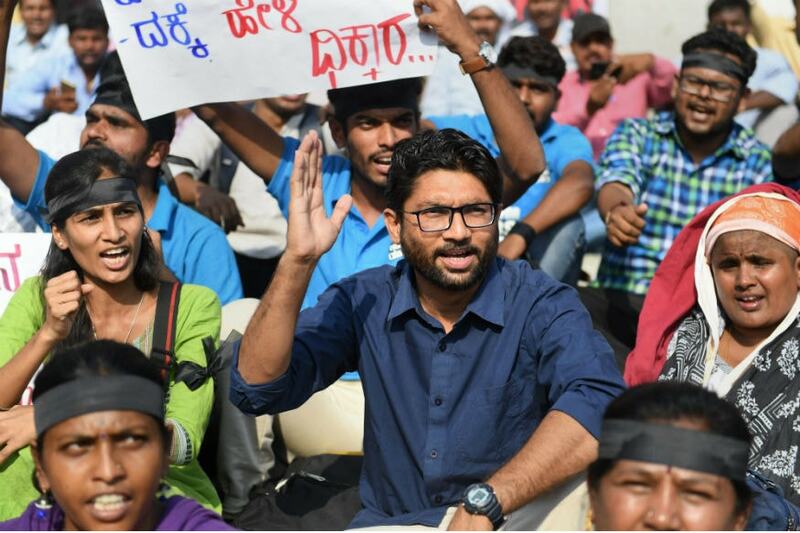 Some student leaders had threatened to disrupt the event if Mevani was invited, he said. "The trustees decided not to offer the hall for the event after getting scared from the threats issued by these student leaders. I do not think that inviting Mevani was a wrong decision," he said. Expressing his strong dislike for the decision of the trustees, Shah said they "gave up on their freedom in the face of political pressure, which is shameful".